Today is Day #7 of the Fantastical Blog Hop and things are going GREAT! Up today is author Joseph Lallo for his novel, The Rise of the Red Shadow. Every story must begin somewhere. For the warrior who would come to be known as the fearsome Red Shadow, the story began in a forgotten glade deep in the land of Tressor. It was there that a pair of trackers, eager to retrieve a lost slave, instead found an orphaned malthrope. Had it been a human, it might have been treated with compassion, but in the eyes of human society a malthrope was a monster, a mix of fox and man believed to be a murderer and thief by its very nature. The beast was to be sold for a handful of silver, but fate intervened in the form of an old blind slave named Ben. Under the learned hand of the one human who believed in his potential, the young malthrope would instead be given the wisdom to take his first steps on the long journey to his destiny. The Rise of the Red Shadow chronicles the early life of one of the most mysterious figures of the Book of Deacon trilogy, the creature called Lain. It tells of his years working and learning on a Tresson plantation until a dark day of vengeance and bloodshed finally set him free. From there you will follow as he finds his place in the world, learning what it is to be a malthrope, and turning to the purpose that will guide him for the rest of his days. It is a story of love, hate, and lessons hard-learned, revealing the painful choices one must make to become the hero the world needs. Day #3 Fantastical Reads Blog Hop! King Raemon of Medeisia is slaughtering tattooed scribes and mages, forcing them into hiding. All marked and those associated with them are destroyed. The people are desperate. Months after challenging Raemon, the marked rebels of Medeisia must rise against their bloodthirsty king or chance being annihilated. Sixteen year-old Drastona Consta-Mayria is the prophesied phoenix of peace, desperate to be a leader for her people despite her reservations. Following the lead of a scarred and forgotten prince, Drastona will embark on a journey with an unlikely band of rebels and a dragon across a cursed desert to bring down a king and save a kingdom. The Fantasy Blog Hop has begun and it’s going strong. Eight fantasy authors have come together to do a special promotion. We have lowered the prices of our book for a week, (none are over $3.99) we have author interviews, reader polls, sweepstakes, give-aways and lots of swag. And, hopefully everyone will find some great new authors to put on their e-readers. M.E. Lorde, the wonderful author of Tolomay’s World and The Pool of Light, is highlighted today. Years before an apocalyptic event, a new means of travel is discovered. The modern technology comes just in the nick of time. Though none can return to a past-time in order to fix what men have destroyed, some candidates can now move forward to begin anew. Highly intelligent, Tolomay Ramey was trained since birth to do one thing… to lead others into the future of the ‘clean earth’ where both nature and mankind are given a fresh start. Leaving the pod community behind, she arrives as the only living ‘Original’ from the first team of candidates. The clean world, abundant with plant and animal life, is covered in green for the first time in hundreds of years. Unfortunately for this young girl and despite the beauty of the replenished earth, nothing she experiences from the moment she arrives is as expected. Alone for three years, until others finally join her, she learns to survive off the land, but that will not be what she finds most challenging. What will happen when a strong-headed young man arrives with the mindset that he should have been the first in this paradise? Can independent Tolomay and fiercely confident Kenter meet in the middle? Can the clean world become what it was intended to be for the new community, or will all thoughts of peace be left a thousand years in the past? 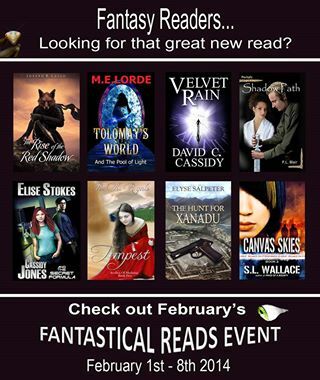 Day #1: Fantastical Reads Blog Hop – Check out some Great Reads 2/1-2/8. Hi everyone! I’m so excited to participate in my first fantasy blog hop. What is that, you might ask? It’s when a group of authors come together and do a special promotion. We lower the prices of our book for a week, (none are over $3.99) we feature author interviews, have reader polls, sweepstakes, give-aways and lots of swag. And, hopefully everyone will find some great new authors to put on their e-readers. Now, each day I’m going to blog about the event and showcase certain authors. I’m so excited to start with YA author, Elise Stokes, who has written the Cassidy Jones series and I want to tell you about Cassidy Jones and the Secret Formula. My 12 year old son is 45% in and thinks it’s really good… “even though I normally don’t like fiction with girls, Mom.” I started it as well and it’s great – the writing is sound and you have to love books with strong female characters. 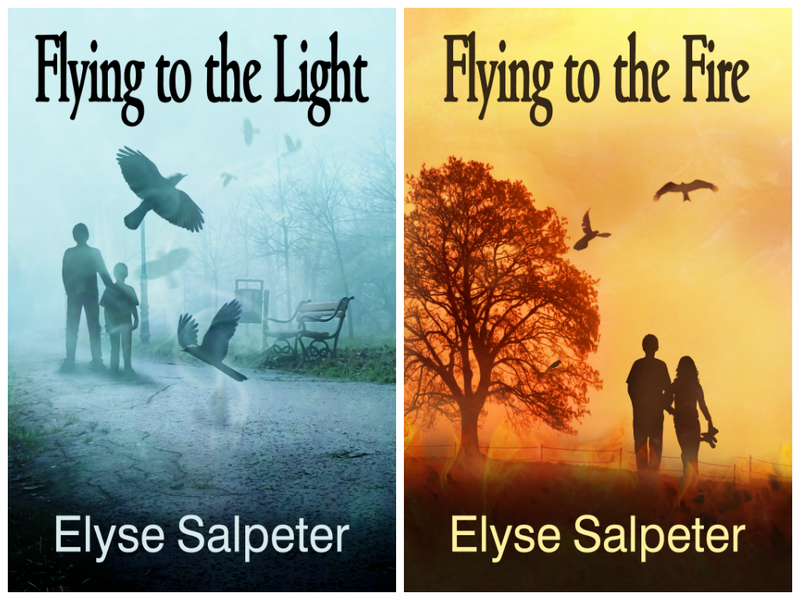 Please check out her amazing book trailer discussing the series!